K.M. 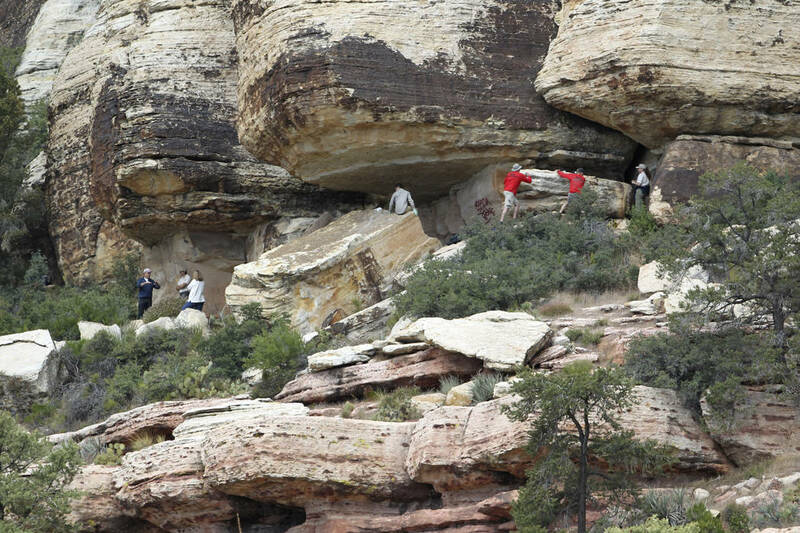 CANNON/LAS VEGAS REVIEW-JOURNAL Klaus Cobb, a volunteer with Friends of Red Rock Canyon, left, works Thursday, May 19, 2011, to restore an ancient rock art site in Red Rock Canyon National Conservation Area that was damaged by graffiti vandals in November. 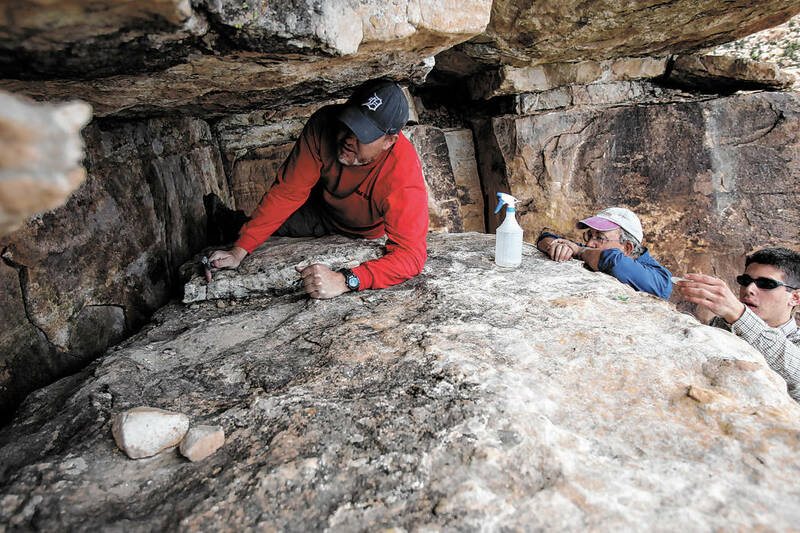 Looking on is South African archeologist Dr. Jannie Laubser, center, and a person who only gave his name as Michael. K.M. 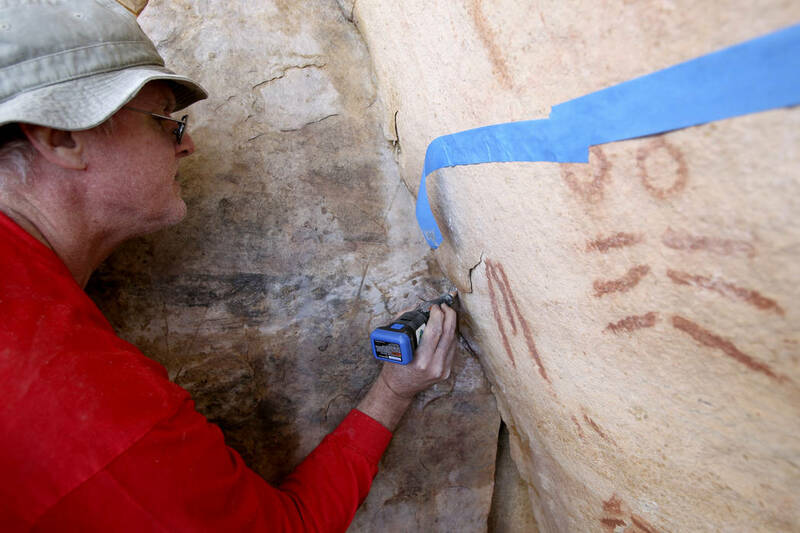 CANNON/LAS VEGAS REVIEW-JOURNAL Klaus Cobb, a volunteer with Friends of Red Rock Canyon, left, works Thursday, May 19, 2011, to restore an ancient rock art site in Red Rock Canyon National Conservation Area that was damaged by graffiti vandals in November. Looking on is South African archeologist Dr. Jannie Laubser, center, and a person who only gave his name as Michael.